Horizon2020 is the world’s largest research program, undertaken by the European Union, and it is open to cooperation with researchers from all countries including Japan. Actually, the EU strongly encourages participation from Japan: Maria Cristina Russo, Director for International Cooperation in the Directorate-General for Research and Innovation of the European Commission, pointed out that currently Japan is on 12th rank in the number of joint research programs with the EU – behind Mexico, and Marocco, but one place above Argentina and Egypt. To encourage more participation by Japanese organizations in EU Horizon-2020 projects, the EU held a conference at the EU Delegation in Tokyo on April 14, 2014. 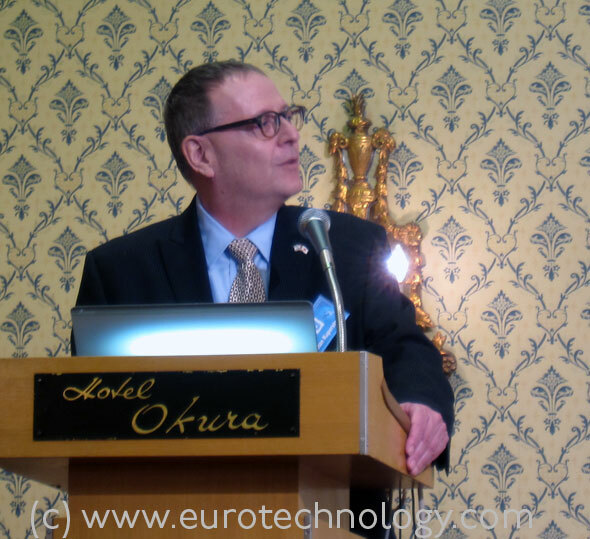 Read a report of the Horizon-2020 Tokyo conference here. “It is wrong that Japan has all technology to decommission Fukushima Dai-ichi. The IAEA strongly recommends international cooperation for the decommissioning of Fukushima Dai-ichi nuclear power plants”, is the strongest statement Mr Yukiya Amano (天野之弥), Director General of the International Atomic Energy Agency (IAEA) made today at the Foreign Correspondence Club in Tokyo in a very carefully worded presentation. IAEA is currently preparing a report about Fukushima Dai-ichi which will be completed by the end of this year, 2014. We are often asked, whether nuclear power is safe, the answer is that no technology is 100% safe. A multilayer defense is required against risks, in-depth defense. Safety levels are now higher than they were before the Fukushima Dai-Ichi nuclear accident. Advise on nuclear power and nuclear safety. In this area, IAEA has no authority. IAEA only can advise. IAEA also helps developing countries which are are thinking to introduce nuclear power. Prevent nuclear proliferation. In this area, IAEA has authority. Other projects, for example in healthcare and decease prevention. For example, IAEA used radiation to disable breeding by insects distributing malaria and other illnesses. IAEA is not an international nuclear safety regulator. IAEA can only advise on nuclear safety. IAEA does not influence countries, but provides comprehensive assistance. Of course nuclear safety is intrinsically international: one country’s nuclear accident is all countries’ nuclear accident. The IAEA has the position that nuclear technology is affordable and useful. IAEA is much more than a “nuclear watchdog”. IAEA also helps to make nuclear technology available for developing countries. IAEA advises countries introducing nuclear energy. Today we have 437 nuclear power plants globally, and 72 are under planning or construction. Growth of nuclear energy is mainly in Asia, especially China and India, but also in Europe and in developing countries. 30 countries use nuclear power, and 60 countries are considering to start using nuclear power in the future. A growing role for IAEA is nuclear security, to advise on proper protection of nuclear materials, for example to prevent dirty bombs. IAEA provides guidance and measurement equipment. IAEA is ready to assist Japan in advising on nuclear security for the Tokyo Olympics in 2020. Next week, we will have a Nuclear Security Summit in Den Haag. The main current issue is Iran, and Iran has taken positive steps forward, but much remains to be done. Regarding North Korea, the IAEA is currently not involved inside North Korea, but ready to help. The IAEA calls on North Korea to fully cooperate with IAEA. IAEA motto is “Atoms for peace”. Question: Is it right to release contaminated water into the ocean? Answer: It is common practice globally, to release contaminated water into the ocean, provided contamination is sufficiently low, and it is essential to talk to stake holders, e.g. fishermen. Storage is not a long term solution. IAEA recommends to release contaminated water into the ocean after proper treatment of the water, and after consultation with stake holders. IAEA recommends release into the ocean, because storage is cost and human resource intensive, and these resources need to be used in other areas of the decommissioning work. Question: Should not Japan have higher safety requirements because Japan is in an earthquake zone? Answer: IAEA does not discriminate against any countries, and strong earthquakes are also known to happen in Europe. Strong earthquakes and tsunami can occur anywhere. Question: what is IAEA’s position regarding the prioritization of the Sendai nuclear plant in Kyushu? Answer: IAEA does not take party in such decision making. Regulation is the responsibility of each country, and IAEA says that the regulator must be robust, independent and well funded. Question: Prime-Minister Abe says that Japan’s nuclear safety regulations now are the strictest in the world. What about missing evacuation plans? Answer: It is not IAEA’s role to rank countries. Broadly speaking, Japanese regulations today are broadly in line with global regulations recommended by IAEA, and Japan has requested the IAEA to review the Japanese nuclear safety standards. IAEA makes safety standards, recommends the use of these standards, and if requested, sends missions to assist. Question: why do you say “broadly”? Answer: Nuclear safety is a huge and complex field. In our view, Japanese nuclear safety regulations are broadly in line with global regulations, and IAEA will evaluate Japanese safety regulations on request by the Japanese Government. Question: Did IAEA warn that pre-Fukushima Dai-Ichi-disaster Japan’s nuclear regulator did not fulfill IAEA criteria: (1) robust, (2) independent, and (3) well funded? Answer: IAEA did warn in polite language that more independence was needed. Question: What was the Japanese Government’s response? Answer: The Japanese Government’s response was, that the regulatory body was sufficiently independent. Question: IAEA promotes nuclear power, and sets safety standards. Is there no conflict of interest between these two roles? Answer: The IAEA is not a global regulator. In each country separately an independent in-country regulator is responsible for regulation in that country. IAEA supports, provides training for in-country regulators. Answer: The member states assess, and will end the tenure of the Director General if they are not satisfied. Question: Did IAEA hide nuclear radiation information in the days after the Fukushima Dai-Ichi disaster? Answer: The IAEA came on a radiation measurement mission to Tokyo and Fukushima on March 18, 2011 one week after the Fukushima Dai-Ichi disaster, reconfirmed the measurements on March 19, 2011, the next day, and published these data. Question: Japan has 331 kg Plutonium. What is the target? Question: do you think that 30-40 years will be sufficient for complete decommissioning of Fukushima Dai-Ichi? Answer: I don’t know. Good understanding of the melted core takes very long time. At present we have no understanding of the melted core. IAEA recommends international cooperation. It is wrong that Japan has all technology. It is IAEA’s recommendation to cooperate internationally. Decommissioning the most difficult nuclear power plant will help to decommission all other nuclear power plants. Question: what about the shortage of workers for decommissioning Fukushima-Dai-Ichi? Answer: Shortage of workers in nuclear plants is a global phenomenon. SoftBank market share in Japan – many articles get it wrong. What is SoftBank’s true market share in Japan? With SoftBank‘s acquisition of US No. 3 mobile operators Sprint and the possibility that Softbank/Sprint will also acquire No. 4 T-Mobile-USA, SoftBank and Masayoshi Son are catching global headlines. These articles state SoftBank’s market share in Japan’s mobile market as 25% and say that KDDI Group has more subscribers than Softbank Group in Japan, but is this really true? What is SoftBank‘s true market share in Japan’s mobile communications markets? Detailed subscriber data and analysis of Japan’s telecom markets in our Report on Japan’s telecom sector. SoftBank recently acquired eMobile/eAccess, and has been the court-appointed reconstruction partner of Willcom, after Willcom’s financial failure. Therefore eMobile/eAccess and Willcom are also part of the SoftBank group, and SoftBank plans to merge both. In addition, Wireless City Planning (WCP) are also part of the SoftBank group. You will find these transactions, the logic and reasoning behind them explained in great detail in our reports on SoftBank and on eAccess/eMobile. The SoftBank group including eAccess/eMobile, Willcom and Wireless City Planning has actually more than 30% of Japan’s mobile subscriber market – not 25% as some articles write. For detailed market data, statistics and analysis of Japan’s highly competitive mobile communications market, read our market report on Japan’s telecom markets, which includes analysis and data for Japan’s wireless, fixed, ADSL and FTTH markets, and detailed financial data, analysis, and comparison of the financial performance of NTT, NTT Docomo, SoftBank and KDDI. Subscriber market shares in Japan’s wireless communications markets for each of the competing groups: Docomo, KDDI and SoftBank. Posted byg_fasol March 13, 2014 July 13, 2018 Posted inM&A, Mobile, telecommunicationsTags: docomo, KDDI, market share, phs, softbank, Sprint, t-mobile, uq, Willcom, ymobile2 Comments on SoftBank market share in Japan – many articles get it wrong. What is SoftBank’s true market share in Japan? 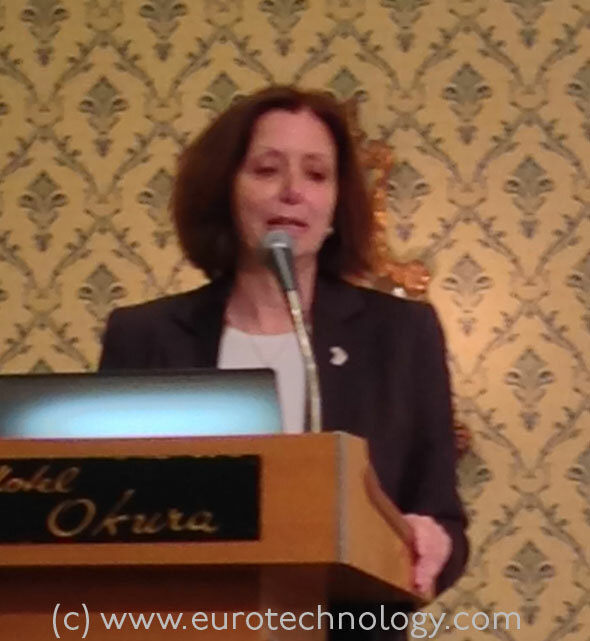 Keynote presented at the 6th Ludwig Boltzmann Symposium on February 20, 2014 at the Embassy of Austria in Tokyo. research: produce globally recognized results. Reform the research and support systems, in particular multi-step support for young researchers. A key challenge is that students primarily focus on earning credits to graduate, and lack a sense of mission to develop professional skills or to cooperate in our diverse global society. We need to change this type of behavior to create scientific leaders for the global arena. We want to create a more flexible curriculum, that can be completed in a shorter time, so that students have more time for personal professional development and international exchange activities and communication skills. We will move to a new and more flexible curriculum system, where undergraduate schools and graduate schools are blended. We are introducing a number of initiatives including active learning, a faculty mentor system where every faculty member mentors 5-10 students, increased numbers of lectures in English, invited top global researchers, provide facilities for foreign researchers, and broaden academic cooperation agreements and mutual accreditation of credits and degrees. JVC KENWOOD Corporation was incorporated on October 1, 2008, and has 20,033 employees as of October 1, 2013. Total sales for fiscal year ending March 2013 was YEN 306.6 Billion (approx. US$ 3 Billion). While there is dramatic global market expansion in many business areas in the global electrical industry, e.g. for Lithium Ion Batteries, DVDs, Car navigation units, DRAM, Japan’s market shares are falling in most sectors. For example, Japanese market shares for LCD, DVD players, Lithium Ion batteries, or car navigation units have fallen from almost 100% global market share 5-10 years ago to 10%-20% today. Business restructuring: focus on core business. Terminated cellular phone business. Cost restructuring: 30% cost reduction. Closed 3 factories. Voluntary retirement. Management restructuring: management consolidation. Eliminate huge wastes and losses in subsidiaries. Restructuring in FY2003 achieved a V-shape recovery. Net income margin was improved from -8% in FY3/2002 to 2%-4% in recent years. JVC and KENWOOD formed a capital and business alliance in July 2007, followed by management integration in October 2008, and a full merger in October 2011. The business portfolio was restructured, and in particular big losses in the TV business were reduced. Fixed costs were reduced by 40% by selling off assets, reduction of production and sales sites, and 25% voluntary retirement. This structural reform was completed in the FY3/2001, and led to another V-shaped recovery, and to profitable growth under the new medium term business plan. The JVC-KENWOOD merger led to big jumps in market share in many markets, and thus to very much improved profitability. How can Japan become competitive again? Why did Japan’s mass production type electronics fail? Answer: Japanese management failed to deal with globalization and digitalization. Other factors that contributed to Japan’s failure are vertical integration, technology leakage from exporting production facilities, insufficient added value compared to the high Japanese labor costs, and lack of money for investment, because Japanese companies largely relied on bank loans instead of equity. Japan’s heavy electrical industry on the other hand is competitive – why? Creative know-how in the heavy electrical industry is in human brains, therefore more difficult to leak to competitors under Japan’s employment circumstances. huge capital investment is needed, and almost fully depreciated in Japan. Therefore the depreciation costs exceeds HR costs. Japan needs to accelerate growth strategies in those areas, where Japan has competitive advantage, and where Japanese industries can differentiate themselves. Examples are industrial areas which depend on a long-term improvements and advanced technologies, and techniques of craftsmen, and in next generation technologies. Professor Kurokawa set the stage by describing the uncertain times, risks and unpredictabilities in which we live – while at the same time internet connects us all, all while the world’s population increased from about 1 billion people in 1750 to about 9 billion people today. Professor Kiyoshi Kurokawa chaired the Fukushima Nuclear Accident Independent Investigation Commission (NAIIC) by the National Diet of Japan, which was active from December 8, 2011 to July 5, 2012. While Parliamentary commissions to investigate accidents, problems and disasters are quite frequent in most Western democracies, this was the first time ever in the history of Constitutional Democratic Japan, that a Parliamentary investigation commission was constituted. The records of the Parliamentary Commission for the Fukushima Disaster can be viewed here. The key result of the Parliamentary Commission is, that the Fukushima nuclear disaster was caused by “regulatory capture”, a phenomenon for which there are many examples all over the world and which is not specific to Japan. Regulatory capture was studied by Goerge J Stigler, who was awarded the Nobel Prize in 1982 for “for his seminal studies of industrial structures, functioning of markets and causes and effects of public regulation”. Since the full report of the Independent Parliamentary Commission NAIIC is long and complex to read, few people are likely to read the full reports and watch the videos of all sessions. Therefore short summary videos the key results of the Independent Parliamentary Commission NAIIC were prepared both in Japanese and in English. 1. What is the NAIIC? 2. Was the nuclear accident preventable? 3. What happened inside the nuclear plant? 4. What should have been done after the accident? 5. Could the damage be contained? 6. What are the issues with nuclear energy? We need leaders to be accountable, and we need to understand that “Groupthink” can lead to disasters. We need the obligation to dissent instead of compliance. The Nuclear Accident Independent Investigation Commission (NAIIC) was like a hole body CT scan of the Governance of Japan. Richard Feynman when charing the Space Shuttle Accident investigation wrote in 1986: “for a successful technology, reality must take precedence over public relations, for nature cannot be fooled. For his work chairing the Nuclear Accident Independent Investigation Commission (NAIIC) Professor Kurokawa was selected as one of “100 Top Global Thinkers 2012” by Foreign Policy “for daring to tell a complacent country that groupthink can kill”. Professor Kurokawa was awarded the AAAS Scientific Freedom and Responsibility Award “for his courage in challenging some of the most ingrained conventions of Japanese governance and society. Ludwig Boltzmann’s greatest contribution to science is that he linked the macroscopic definition of Entropy which came from optimizing steam engines at the source of the first industrial revolution to the microscopic motion of atoms or molecules in gases, this achievement is summarized by the equation S = k log W, linking entropy S with the probability W. k is the Boltzmann constant, one of the most important constants in nature, linked directly to temperature in the SI system of physical units. This monumental work is maybe Boltzmann’s most important creation but by far not the only one. He discovered many laws, and created many mathematical tools, for example Boltzmann’s Equations, which are used today as tools for numerical simulations of gas flow for the construction of jet engines, airplanes, automobiles, in semiconductor physics, information technology and many other areas. Although independently discovered, Shannon’s theory of noise in communication networks, and Shannon’s entropy in IT is also directly related to Boltzmann’s entropy work. Ludwig Boltzmann was not only a monumental scientist, but also an exceptional leader, teacher, educator and promoter of exceptional talent, and he promoted many women. One of the women Ludwig Boltzmann promoted was Henriette von Aigentler, who was refused permission to unofficially audit lectures at Graz University. Ludwig Boltzmann advised and helped her to appeal this decision, in 1874, Henriette von Aigentler passed her exams as a high-school teacher, and on July 17, 1876, Ludwig Boltzmann married Henriette von Aigentler, my great-grand mother. Another woman Ludwig Boltzmann promoted was his student Lise Meitner (Nov 1878 – Oct 27, 1968), who later was part of the team that discovered nuclear fission, work for which Otto Hahn was awarded the Nobel Prize. Lise Meitner was also the second woman to earn a Doctorate degree in Physics from the University of Vienna. Element 109, Meitnerium, is named after Lise Meitner. The first President of Osaka University (1931-1934), Nagaoka Hantaro (1865 – 1950) was Ludwig Boltzmann’s pupil around 1892 – 1893 at Muenchen University. Ludwig Boltzmann was connected in intense discussions with all major scientists of his time, he travelled extensively including three trips to the USA in 1899, 1904 and 1905, about which he wrote the article “Die Reise eines deutschen Professors ins El Dorado”, published in the book “Populäre Schriften”. Ludwig Boltzmann published his first scientific publication at the age of 21 years in 1865. He was appointed Full Professor of Mathematical Physics at the University of Graz in 1869 at the age of 25 years, later in 1887-1888 he was Rektor (President) of the University of Graz at the age of 43 years. He spent periods of his professional work in Vienna, at Graz University (1869-1873 and 1876-1890), at Muenchen University (1890-1894). When working at Muenchen University, he discovered that neither he nor his family would not receive any pension from his employment at Muenchen University after an eventual retirement or in case he dies before retirement, and therefore decided to return to Vienna University in 1894, where he and his family were assured of an appropriate pension. During 1900-1902 he spent two years working in Leipzig, where he cooperated with the Nobel Prize winner Friedrich Wilhelm Ostwald. Ludwig Boltzmann did not shy away from forceful arguments to argue for his thoughts and conclusions, even if his conclusions were opposite to the views of established colleagues, or when he felt that philosophers intruded into the field of physics, i.e. used methods of philosophy to attempt solving questions which needed to be solved with physics measurements, e.g. to determine whether our space is curved or not. Later in his life he was therefore also appointed to a parallel Chair in Philosophy of Science, and Ludwig Boltzmann’s work in Philosophy of Science is also very fundamentally important. I discovered the unpublished manuscripts of Boltzmann’s lectures on the Philosophy of Science, stimulated and encouraged by myself, and with painstaking work my mother transcribed these and other unpublished manuscripts, and prepared them for publication, to make these works finally accessible to the world, many years after Ludwig Boltzmann’s death. Boltzmann’s thoughts and ideas are a big part of our understanding of the world and the universe. His mathematical tools are used every day by today’s engineers, bankers, IT people, physicists, chemists… and even may contribute to solve the world’s energy problems. Ludwig Boltzmann stood up for his ideas and conclusions and did not give in to authority. He rejected authority for authority’s sake, and strongly pushed his convictions forward. What can we learn from Ludwig Boltzmann? empower young people, recognize and support talent early. exceptional talent is not linear but exponential. move around the world. Connect. Interact. don’t accept authority for authority’s sake. science/physics/nature need to be treated with the methods of physics/science. support entrepreneurs, Ludwig Boltzmann did. (in preparing this talk, I am very grateful for several email discussions and telephone conversations, and for unpublished presentations and documents, to Dr Michael de Podesta MBE CPhys MInstP, Principal Research Scientist at the National Physical Laboratory NPL in Teddington, UK, who has greatly assisted me in understanding the current status of work on reforming the SI system of units, and also his very important work on high-precision measurements of Boltzmann’s constant. Dr Michael de Podesta’s measurements of Boltzmann’s constant are arguable among the most precise, of not the most precise measurements of Boltzmann’s constant today, and therefore a very important contribution to our system of physical units). Temperature is one of the physics quantities we use most, and understanding all aspects of temperature is at the core of Ludwig Boltzmann’s work. People measured temperature long before anyone knew what temperature really is: temperature is a measurement of the average kinetic energy of the atoms of a substance. When we touch a body to “feel” its temperature, what we are really doing is to measure the “buzz”, the thermal vibrations of the atoms making up that body. For an ideal gas, the kinetic energy per molecule is equal to 3/2 k.T, where k is Boltzmann’s constant. Therefore Boltzmann’s constant directly links energy and Temperature. However, when we measure “Temperature” in real life, we are not really measuring the true thermodynamic temperature, what we are really measuring is T90, a temperature scale ITS-90 defined in 1990, which is anchored by the definition of temperature units in the System International, the SI system of defining a set of fundamental physical units. Our base units are of fundamental importance for example to transfer semiconductor production processes around the world. For example, when a semiconductor production process requires a temperature of 769.3 Kelvin or mass of 1.0000 Kilogram, then accurate definition and methods of measurement are necessary to achieve precisely the same temperature or mass in different laboratories or factories around the world. second: The second is the duration of 9 192 631 770 periods of the radiation corresponding to the transition between the two hyperfine levels of the ground state of the cesium 133 atom. metre: The meter is the length of the path travelled by light in vacuum during a time interval of 1/299 792 458 of a second. kilogram: The kilogram is the unit of mass; it is equal to the mass of the international prototype of the kilogram. Ampere: The ampere is that constant current which, if maintained in two straight parallel conductors of infinite length, of negligible circular cross-section, and placed 1 meter apart in vacuum, would produce between these conductors a force equal to 2 x 10-7 newton per meter of length. Kelvin: The kelvin, unit of thermodynamic temperature, is the fraction 1/273.16 of the thermodynamic temperature of the triple point of water. When the mole is used, the elementary entities must be specified and may be atoms, molecules, ions, electrons, other particles, or specified groups of such particles. candela: The candela is the luminous intensity, in a given direction, of a source that emits monochromatic radiation of frequency 540 x 1012 hertz and that has a radiant intensity in that direction of 1/683 watt per steradian. The definitions of base units has long history, and are evolving over time. Today several of the definitions are particularly problematic, among the most problematic are temperature and mass. kilogram: linked to h = Planck constant. k = 1.380650 x 10-23 JK-1. Over the next few years the SI system of units will be switched from the today’s method (1.) where units are fixed and numerical values of fundamental constants are “variable”, i.e. determined experimentally, to the new method (2.) where the numerical values of the set of fundamental constants is fixed, and the units are defined such, that their definition results in the fixed numerical values of the set of fundamental constants. This switch to a new definition of the SI system requires international agreements, and decisions by international organizations, and this process is expected to be completed by 2018. Today’s method (1.) above is problematic: The SI unit of temperature, Kelvin is defined as the fraction 1/273.16 of the thermodynamic temperature at the triple point of water. The problem is that the triple point depends on many factors including pressure, and the precise composition of water, in terms of isotopes and impurities. In the current definition the water to be used is determined as “VSNOW” = Vienna Standard Mean Ocean Water. Of course this is highly problematic, and the new method (2.) will not depend on VSNOW any longer. Kelvin is defined such, that the numerical value of the Boltzmann constant k is equal to exactly 1.380650 x 10-23 JK-1. Michael de Podesta et al. “A low-uncertainty measurement of the Boltzmann constant”, Metrologia 50 (2013) 354-376. Dr Podesta’s measurements are extremely sophisticated, needed many years of work, and cooperations with several other laboratories. Dr. Podesta and collaborators constructed a highly precise resonant cavity filled with Argon gas. Dr. Podesta measured both the microwave resonance modes of the cavity to determine the precise radius and geometry, and determined the speed of sound in the Argon gas from acoustic resonance modes. Dr Podesta performed exceptionally accurate measurements of the speed of sound in this cavity, which can be said to be the most accurate thermometer globally today. The speed of sound can be directly related to 3/2 k.T, the mean molecular kinetic energy of the Argon molecules. In these measurements, Dr. Podesta very carefully considered many different types of influences on his measurements, such as surface gas layers, shape of microwave and acoustic sources and sensors etc. He achieved a relative standard uncertainty of 0.71. 10-6, which means that his measurements of Boltzmann’s constant are estimated to be accurate to within better than on millionth. Dr. Podesta’s measurements directly influences the precision with which we measure temperature in the new system of units. Over the last 10 years there is intense effort in Europe and the USA to build rebuild the SI unit system. In particular NIST (USA), NPL (UK), several French institutions and Italian institutions, as well as the German PTB (Physikalische Technische Bundesanstalt) are undertaking this effort. To my knowledge there is only very small or no contribution from Japan to this effort, which was surprising for me. My invention of vertical cavity surface emitting lasers (VCSEL) dates back to March 22, 1977. Today VCSEL devices are used in many applications all over the world. I was awarded the 2013 Franklin Institute Award, the Bower Award and Prize for Achievement in Science, “for the conception and development of the vertical cavity surface emitting laser and its multiple applications in optoelectronics“. Benjamin Franklin’s work is linked to mine: Benjamin Franklin in 1752 discovered that thunder originates from electricity – he linked electronics (electricity) with photons (light). After 1960 the era of lasers began, we learnt how to combine and control electrons and photons, and the era of optoelectronics. If you read Japanese, you may be interested to read an interview with Genichi Hatakoshi and myself, intitled “The treasure micro box of optoelectronics” which was recently published in the Japanese journal OplusE Magazine by Adcom-Media. Who are electrons? Electrons are just like a cloud expressed by Schroedinger’s equation, which Schroedinger postulated in 1926. Electrons can also be seen as randomly moving particles, described by the particle version of Schroedinger’s equation (1931). Where does light come from? Light is generated by the accelerated motion of charged particles. Electrons also show interference patterns. For example, if we combine the 1s and 2p orbitals around a nucleus, we observe interference. In a semiconductor, electrons are characterized by a band structure, filled valence bands and largely empty conduction bands. The population of hole states in the valence bands and of electrons in the conduction bands are determined by the Fermi-Dirac distribution. In typical III-V semiconductors, generation and absorption of light is by transitions between 4s anti-bonding orbitals (the bottom of the conduction band) and 4p bonding orbitals (the top of the valence band). in 607, the Horyuji 5-Jyu-no Toh (5 story tower) was built in Nara, and today we have progressed to building the 634 meter high Tokyo Sky Tree Tower. History of communications spans from 10,000 years BC with the invention of language, and 3000 BC with the invention of written characters and papyrus, to the invention of the internet in 1957, the realization of the laser in 1960, the realization of optical fiber communications in 1984, and now since 2008 we see Web 2.x and Cloud. Optical telegraphy goes back to 200 BC, when optical beacons were used in China: digital signals using multi-color smoke. Around 600 AD we had optical beacons in China, Korea and Japan, and in 1200 BC also in Mongolia and India. In the 18th and 19th century, optical semaphores were used in France. In the 20th century, optical beam transmission using optical rods and optical fiber transmissions were developed, which combined with the development of lasers created today’s laser communications. Yasuharu Suematsu and his student showed the world’s first demonstration of optical fiber communications demonstration on May 26, 1963 at the Tokyo Institute of Technology, using a He-Ne laser, an electro-optic crystal for modulation of the laser light by the electrical signal from a microphone, and optical bundle fiber, and a photo-tube at the other end of the optical fiber bundle to revert the optical signals back into electrical signals and finally to drive a loud speaker. For his pioneering work, Yasuharu Suematsu was awarded the International Japan Prize in 2014. VCSEL: I recorded my initial idea for the surface emitting laser on March 22, 1977 in my lab book. VCSEL have found applications in many fields, including: data communications, sensing, printing, interconnects, displays. IBM Sequoia uses 330,000 VCSELs. Fuji Xerox introduced the first demonstration of 2 dimensional 4×8 VCSEL printer array for high speed and ultra-fine resolution laser printing: 14 pages/minute and 2400 dots/inch. The laser market is estimated to be US$ 11 billion by 2017. VCSELs move to optical interconnects. By 2019 the optical interconnect market is estimated to reach US$ 5.2 billion. Future: will generate ideas never thought before. The recent acquisition of the Israel-based OTT (over the top) communications company Viber by Rakuten for US$ 900 Million has drawn attention in Japan to Israel’s innovative power, however many Japanese companies are already cautiously investing in Israel while keeping a low profile, we learnt at the “Start-up Nation Israel 2014” Israel Japan Investment Funds meeting on March 4, 2014 at the Hotel Okura in Tokyo. Most of the companies presented at the conference were highly sophisticated computer security, medical equipment, and similar “mono zukuri” type ventures, but also included a “selfie” app for auto-portrait or group photos using iPad or iPhone. By the way: our company is currently working to sell an Israeli venture company to Japan as an exit for investors, and to accelerate business development in Japan for this company. CHIMA Ventures: medical devices, minimal invasive surgery tools. TERRA Venture Partners: Terra invests in about 16-20 (4-5 per year) for a 1-2 year incubation period, followed by a “cherry picking” process. Terra VP invests in companies surviving the “cherry picking”. 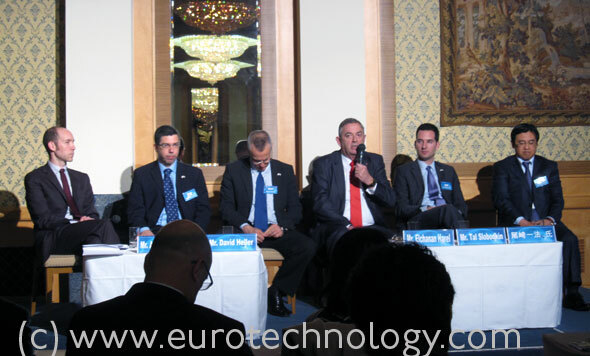 Veolia, GE, EDP, Clearweb, Enel are partners. Giza Venture Capital: 5 funds, US$ 600 million under management, 102 investments, 20 active, 38 exits. Examples are: XtremIO, Actimize, Telegate, Precise, Plus, msystems, cyota, Olibit, Zoran, XTechnology. A particular success story is XtremIO: the team of 21 people (including secretary) turned US$ 6 million investment into a US$ 435 million cash sale to EMC. StageOne Ventures: Early stage US$ 75 million fund, 17 investments. Gillot Capital Partners: seed and early stage. Focus: cyber security. SCP Vitalife Partners: 2 funds, US$ 230 capital under management. Magma Venture Partners: focus on information and communications sector. Created over US$ 2 billion in acquired company value. Biggest success story: waze (crowd sourced location based services), return on capital investment: 171-times. OrbiMed Healthcare Fund Management: largest global healthcare dedicated investment firm. 8200 is a unit within the Israeli Defence Forces similar to the US NSA – technology based intelligence collection. 8200 veterans lead many Israeli start-ups including NICE, Verint, Check Point, paloalto. Talpiot is Israel’s elite Israel Defense Forces training program, dedicated to create leading research and development officers for the various branches of the Israeli Defence Forces. Program was created in 1979, about 1000 graduates today. Japanese investors mostly follow Israeli or US lead investors. Japanese investors seldom lead. Israel’s venture capital fund industry was created by Israel’s Government creating the Yozma Fund of Funds: Israel’s Government invested a total of US$ 100 million in 10 VC funds (US$ 10 million per fund) under the condition that these funds had to attract much larger non-Government investment. In total the Yozma Fund of Funds invested US$ 100 million and resulted in a VC fund industry with a total of US$ 17 Billion of VC funds raised since 1993. There is a relatively large number of Japanese investments in Israeli funds, however, the combined total investment is rather low, approximately 1% of all foreign investments in such funds. Thus there is much scope for increased Japanese investments in Israeli funds and ventures. Steve Jobs and SONY: why do Steven Jobs and SONY reach opposite answers to the same question: what to do with history? Steve Jobs and SONY: why 180 degrees opposite decisions? Why opposite answers to the same question? Could it be good advice for SONY, to learn from Steve Jobs, and donate SONY-Museum and SONY-Archives to a University, and focus much more on the future? Steve Jobs returned to Apple with the Apple purchase of NeXT on December 10, 1996. One of the first things Steve Jobs did was to orient the Apple into the future by donating the Apple Computer Inc. Museum and historical collections to Stanford University, as documented in Stanford University’s news release dated November 18, 1997. Apple’s archives are now at Stanford University’s Silicon Valley Archives. Steve Jobs gave away Apple’s history documents in order to focus on the future. SONY’s actions are almost exactly 180 degrees opposite to Apple’s and Steve Jobs’: according to Wallstreet Journal, The Japan News by Yomiuri, and other news sources, SONY sells the former headquarters buildings, but reports say that SONY will keep the SONY Archives and the SONY Corporate History Museum (ソニー歴史資料館). To understand SONY’s financial situation over the last 15 years, read our Report on Japan’s electronics industry. Why does Steve Jobs reach the 180 degrees opposite conclusion to SONY management when faced with the same question? Is this a manifestation of Japan’s “Galapagos syndrome”? Could this mean that SONY isn’t as forward looking as Steve Jobs when he returned to Apple in 1996? Could it be good advice for SONY, to donate SONY-Museum and SONY-Archives to a University, and instead focus on the future? Posted byg_fasol March 2, 2014 November 7, 2016 Posted inGalapagos effect, Japan's electronics multinationals, UniversityTags: apple, Apple Computer Inc. Collections, galapagos, history, sony, Sony archives, Sony History Museum, Steve Jobs, ソニー歴史資料館Leave a comment on Steve Jobs and SONY: why do Steven Jobs and SONY reach opposite answers to the same question: what to do with history? Initially, London Stock Exchange and Tokyo Stock Exchange created Tokyo-AIM as a joint-venture company in order to create a jointly owned and jointly managed AIM Stock Market in Tokyo, modeled according to the very successful London-AIM model. However, on March 26, 2012 NIKKEI reported that “Tokyo Stock Exchange has learnt enough from the London Stock Exchange to set up a similar market on its own. TSE plans to improve the rules of its own new market, so that TSE can create a more welcoming market” (our translation of the original Japanese NIKKEI article to English). London Stock Exchange withdrew from the venture, and Tokyo Stock Exchange took over 100% of Tokyo-AIM. Essentially, London Stock Exchange AIM’s venture into Japan failed, while the stock market created by the venture continues without London Stock Exchange’s involvement. As explained in our blog here, these events are very very similar to what happened with NASDAQ about 10 years earlier! Tokyo-AIM stock market rebirth under TSE alone? – Will Tokyo-AIM go the same way as NASDAQ-Japan? AppAnnie showed that in terms of combined iOS AppStore + Google Play revenues, Japan is No. 1 globally, spending more than the USA. Therefore Japan is naturally the No. 1 target globally for many mobile game companies, and 10 out of 25 top grossing apps in Japan are of foreign origin! Japan’s iconic game companies created many game categories – this tradition carries over to mobile gaming now. Many foreign game companies have failed and given up. Foreign game companies that have recently given up in Japan include Zynga and Habbo Hotel. EA has given up twice, and is now undertaking the third entry to Japan. To understand some of the key mistakes foreign companies make in Japan, read our blog about why Vodafone failed in Japan. Lets have a look at the list of top grossing games in the Apple iOS AppStore today. Out of the 25 top grossing games in the AppStore, 10 are by foreign originating companies. Can you guess which these are by reading the list below? So Japan is certainly not a “closed market”. Actually, it is obvious that Apple does not discriminate in any way against foreign companies in Japan. Interestingly, neither Nintendo, nor Rovio’s games, such as Angry Birds appear among the 200 “top grossing games” in Apple’s iOS Japan AppStore. Can you guess which 10 are by companies of foreign origin? Register and receive an email with a link to a free trial version of our report on “Japan’s game makers and markets” and our newsletters. Disruption of Japan’s games sector: in a previous blog post we showed that just three newcomers (Gree + DeNA + Gungho) produce more profits than the top 9 traditional game companies combined. February 3, 2014, in the “free” ranking in the games section of the iPhone AppStore, we find LINE dominating. And newcomer Flappy Bird has overtaken Angry Birds by a long margin. Angry Birds Go! appears on rank No. 97 – which actually in Japan is not that bad, given the huge revenues in Japan – as App Annie has shown, Japan’s the world’s biggest grossing apps market both for iOS and Android – so No. 97 in the world’s biggest App market is not that bad. In a subsequent article we analyze the top grossing 25 apps in the iOS AppStore. No. 97: Angry Birds Go! See our following blog for an analysis of the ranking of “top grossing” games in the Japan iOS AppStore. Philip Rubel, CEO of Saatchi & Saatchi Fallon Tokyo KK gave a talk about “Lovemarks”, a concept in branding developed by Saatchi & Saatchi CEO Kevin Roberts. To understand Japan’s media landscape read the “Japan’s media” report. The argument is that traditional “brands” are losing relevance because in our advanced “post-industrial” societies, function and technology are given, and can usually be rapidly reproduced or overtaken by competitors. Therefore, advertising based on function or technology does not work anymore. Another factor is the shift from traditional one-way media such as TV and print, to social media and peer-to-peer interactions, where anyone can publish anything about “brands” and “brands” cannot do anything about it directly. Thus traditional brands are dead. So, how can we get people to attach irrationally, beyond reason? Lasting relationships are not based on rational thinking. “Lovemarks” counter these effects: the concept of Lovemarks is to “create loyalty which goes beyond reason”. To create love for the Lovemarks. To get there, Saatchi & Saatchi believes in the “unreasonable” power of creativity: creativity can create loyalty beyond reason. The issue was to develop the BMW brand in USA with limited budgets. BMW Films was a series of films created by famous directors and famous actors, which was uploaded to the BMWfilms.com website for download. BMW Films became famous, actors volunteered to appear, and download figures were far beyond plan. For Valentine’s day 2013, Saatchi & Saatchi built a hugging robot, which people could hug, and the hugs were measured, rated, and photographed, and the results could be displayed on social network sites etc. The campaign is explained here on Saatchi & Saatchi’s website. Register and receive an email with a link to a free trial version of our report on “Japan media” and our newsletters. EU investments in Japan have been relatively constant around EURO 80 billion. There has been a marked reduction in EU investment in Japan in 2006 due to the withdrawal of Vodafone from Japan with the sale of Vodafone KK to Softbank for approx. EURO 12 billion (find details of the Vodafone-SoftBank M&A transaction here). This reduction of EU investment stock in Japan is clearly visible in the graphics below in 2006 and 2007. For a listing of major European direct investments and acquisitions into Japan, consult The EU to Japan Direct Investments Register. Japanese investments in EU are steadily increasing, as Japanese companies are seeking to grow business outside Japan’s saturated market, and as Japanese companies acquire European companies for market access, technology and global business footprint. In 2012 the total investment stock of Japanese companies in the EU-27 has reached around EURO 150 billion. For a listing of major Japanese direct investments and acquisitions into Europe, consult The Japan to Europe Direct Investments Register. Investment flow between EU and Japan shows strong impact from the Lehmann shock economic downturn, and was very quiet between 2008 and 2010. In recent years, mainly Japanese investments to Europe have picked up, and currently about EURO 10 billion per year flow from Japan to Europe, Japanese companies acquiring European companies to globalize and also to pick up known-how and technologies. Investment flow from EU to Japan remains at relatively low levels around EURO 1 billion annually, while investments by Japanese companies in the EU are on the order of EURO 10 billion per year currently. Investment flow recently is almost one way from Japan into Europe. For an overview of M&A transactions by Japanese companies in Europe, consult the Japan to Europe direct investment register. For an overview of M&A transactions by European companies in Japan, consult the Europe to Japan direct investment register. With the expected Economic Partnership Agreement (EPA) we expect investment flows to increase in both directions. The pressure to globalize, and saturation of Japan’s markets drives Japanese corporations to invest in Europe, therefore we expect the future Economic Partnership Agreement between Japan and EU to stimulate further Japanese investments in Europe more than in the Europe -> Japan direction. Combining the amounts of trade for merchandise and commercial services, EU exports to Japan and Japanese exports to EU have reached equal levels, so that the trade between EU and Japan is now balanced around EURO 80 billion in each direction, i.e. a combined trade of EURO 160 billion. Japan is traditionally stronger in the export of manufactured goods, while EU is stronger in the export of commercial services. Combining both merchandise and services, the trade between EU and Japan is now balanced. There used to be a trade deficit and trade friction: Japan used to export much more to Europe, than Europe exported to Japan. Recently, Europe has increased exports to Japan considerably, and the trade is now balanced in both directions. In order to globalize, Japanese insurance company Sompo Japan (株式会社損害保険ジャパン), part of the insurance group NKSJ Holdings (NKSJホールディングス株式会社, TSE / JPX: No. 8630) announced yesterday the acquisition of 100% of the UK re-insurer Canopius Group Limited, operating on Lloyd’s for UKL 594 million (US$ 972 million), from the current owners. Current majority owner of Canopius is Bregal Capital. Canopius will keep the brand, company name, and management team. Canopius, is an insurance group, one of the top ten insurers in the Lloyd’s market, was founded in December 2003, almost exactly ten years ago, via a Management Buy-Out (MBO) with UKL 25 million capital, which grew about twenty-fold to about UKL 500 million today, and today has about 560 employees. Canopius is named after Nathaniel Canopius, native of Crete, who studied at Balliol College, Oxford, apparently introduced coffee drinking to Oxford around 1637 (according to the Canopius website), and later became Archbishop of Smyrna (Source: “Anglicans and Orthodox, Unity and Subversion, 1559-1725”, by Judith Pinnington, 2003, ISBN 0-85244-577-6, page 15). Japanese companies continue to acquire European companies at the rate of about EURO 10 billion/year, while European investments in Japan are in a steady state with few acquisitions. Reasons for Japanese investments in Europe are globalization, acquiring a global foot print, and acquisition of know-how and technologies. Consult our EU to Japan direct investment register for a listing of some of the Japanese acquisitions since 1988. Sources: press announcements by the companies, websites. Masamoto Yashiro is a legend in Japan’s banking and energy industry. He built Shinsei Bank from the ashes of the bankrupt Long Term Credit Bank of Japan, and served in leadership positions (Chairman, CEO, Board Member) in Esso, Exxon, Citibank, Shinsei Bank, and the China Construction Bank. Tonight a small group of about 60 people were invited to join Masamoto Yashiro and the President of The University of Tokyo, Professor Junichi Hamada, for an evening workshop and brainstorming event about globalization of Japanese corporations at The University of Tokyo. Participating were a selected group of The University of Tokyo graduates, faculty, and selected alumni from several elite Universities associated with The University of Tokyo, and currently working at major Japanese trading companies, Ministry of Finance, financial firms, global consulting firms and other global firms. After The University of Tokyo President Junichi Hamada’s introductory words, we heard Masamoto Yashiro’s fantastic overview of how he thinks Japanese companies need to change and why, followed by Q&A, then by a brainstorming session in the format of changing groups of four on about 15 separate tables between the participants, and then followed by buffet and drinks reception. Masamoto Yashiro graduated from Kyoto University (Law Faculty) in 1954 and The University of Tokyo Graduate School in 1958, and entered Standard Vacuum Oil Company. In 1964 he became Director of Esso, and later Special Assistant to the Chairman of Standard Oil New Jersey, and in 1986 President of Esso Sekyu KK. In 1989, Masamoto Yashiro moved to become Japan representative of Citibank NA, and Chairman of Citicorp Japan in 1997. IN 1999, Masamoto Yashiro became CEO of New LTCB Partners CV, the company emerging from the bankruptcy proceedings of the Long Term Credit Bank of Japan, and was in charge of the revival of LTCB as Chairman and CEO, with investment from Ripplewood Investment Fund, creating today’s Shinsei Bank. He resigned as CEO of Shinsei Bank in 2005, but returned as Chairman and CEO in 2008, from which he retired in 2010. In 2004, he was appointed Director of the China Construction Bank. Note: this record was reviewed personally by Masamoto Yashiro, who made some corrections. Some people may argue that Japanese companies need not be global. Why? We must accept that English is an essential tool for international communication. The traditional approach is not effective in developing future leaders. The Japanese-style board structure is not appropriate to ensure sound corporate governance. Management structure needs to be changed to suit a global business. What should be the most important corporate objective? Some superficial discussions about “Japanese companies” contrast “permanent employment” and excellent pensions in Japanese companies with job-hopping and bad pensions in other countries, however, Masamoto Yashiro points out that during his time at Esso and later Exxon, most employees stayed 20-30 years at Exxon, and received excellent pensions, so “permanent longterm employment” or pension system has nothing to do with globalization, and Japanese leading companies are no different than leading companies in other countries in these respects. We have to search elsewhere for the causes of current problems most Japanese companies are facing. Around 1990, about 20 years ago, Japan was extremely self-satisfied by the successful reconstruction after the war and economic growth and success, and Japan felt that Japan does not have anything to learn from others. This time is now over, Japan is in stagnation, and many Japanese companies are not globally competitive, and Japan and Japanese companies must change to become competitive again. Masamoto Yashiro is convinced that Japanese companies must globalize, and must make English a business tool. He feels it is a great disadvantage that Japanese political and corporate leaders, when participating in international conference, such as Davos, mostly need to use interpreters, and this reduces their global impact and exchange of ideas dramatically. 1. The traditional approach is not effective in developing future leaders. The traditional approach in Japan is to rotate career employees every two years between totally different functions, in order to “develop well-rounded managers”. The result of this process are non-experts, which are not expert in anything. As an example, during his leadership at Shinsei Bank, Masamoto Yashiro once requested a meeting with the IT Department leadership. To his great surprise 60 people turned up for the meeting (he had expected 2 or 3). He asked the Department Chief for particular information, and he could not understand the question and could not answer, same result one management lower. Only at the third layer from the top, Masamoto Yashiro could get his question answered – the top two management layers could not answer his questions about the work of the IT Department. Quite generally there often far too many people at meetings at Japanese companies. When at Exxon in the US as a relatively junior manager, Masamoto Yashiro, was asked about his opinion regarding the termination of a particular joint-venture relationship with a mid-size petroleum refining company in Japan known then as ゼネラル石油精製 who had financial trouble. Exxon had a 50% interest in this company and its relations goes back to very late 1950’s. In late 1985 at the Exxon Management Committee meeting in New York, all other managers favored to terminate the relationship with this joint venture partner in trouble in order to limit financial exposure, while Masamoto Yashiro argued that it was better to support the troubled partner and assist him with Exxon staff and expertise to return to profitability. To his great surprise the Chairman and his superiors at Exxon sided with his recommendation and changed their previous position following his advice. Generally he felt that in the USA his opinion as a Japanese manager was highly valued, because it provided a different view point. This deplorable Japanese situation even contrasts strongly with the situation in China, where Masamoto Yashiro was a Director of the China Construction Bank: in China leaders moved from Government agencies and Ministries to Banks, and to private industries and back. Generally Masamoto Yashiro expressed the view, that the development of leaders is totally inadequate in Japan, and is better in China than in Japan. In addition to the inadequate development of leaders in Japanese companies, the number of foreign nationals in management, Board and other leadership positions in Japanese companies is minute, there are no programs to attract and develop foreign nationals in leadership positions. On the contrary, when Shinsei Bank showed losses in the aftermath of the Lehman shock, Japan’s Financial Services Agencies ordered that Shinsei Bank must pay all foreign nationals on exactly the same pay levels as Japanese employees. Since foreign nationals typically have much higher schooling and other costs in Japan than Japanese staff, essentially all non-Japanese staff at Shinsei Bank left soon after. Leaders can make a real difference. How leaders are selected is of utmost importance. At Exxon, senior management devote specially reserved time to identify suitable candidates for future leadership positions, “who can potentially be our CEO in the future”. The selected candidates are given special attention and special opportunities to train and develop their leadership abilities. Masamoto Yashiro has never heard about such special leadership development programs at Japanese companies. 2. The Japanese-style board structure is not appropriate to ensure sound corporate governance. In Japan, Board Members are almost always managing employees of the company, so the question arises who’s interests they represent on the Board. Do they represent the interests of the institution (the company), the employees or the interests of the shareholders. In Japan often the CEO of the company after his retirement remains as a Chairman for several years, keeps his office, secretary and company car, and creates large other expenses. Why? Probably because Japanese CEO pay is too low, so that the CEO does not wish to retire gracefully. 3. Management structure needs to be changed to suit a global business. In non-Japanese companies in almost all cases have a thorough performance evaluation system. When performance is evaluated, the resulting distribution must be similar to a normal distribution, i.e. with considerable part of employees at the high end and substantial numbers at the low end of the performance curve. If this is not done, top performers cannot be sufficiently rewarded and will leave the company, while low performers would hold the whole company back. In most Japanese companies on the other hand, if a thorough performance evaluation is done at all, in most cases a huge proportion of employees are just evaluated as average, satisfying performance, without clear distinctions between top and bottom performance. Promotion and salary on the other hand in traditional Japanese companies is purely according to age, which leads to many problems, and causes under-performance of the whole company. These problems are increased by the fact, that Japanese companies typically do not give the same evaluation or opportunities to non-Japanese nationals. 4. The current limited role of foreign nationals in management and board structure. Even in the rare cases where foreign nationals are employed by Japanese companies in management or leadership positions e.g. in foreign subsidiaries, often junior Japanese employees which much lower rank and local knowledge do not respect and bypass non-Japanese management, and there is typically no fair evaluation system, evaluating Japanese and non-Japanese management according to the same standards of performance. The change of this mindset (to keep non-Japanese out of management or leadership positions at Japanese corporations) is extremely important. The change of mindset (to keep non-Japanese out of management or leadership positions at Japanese corporations) is not difficult at all and can be done quickly. When considering corporate governance it is important to develop a view on the objectives. When discussing the interest of shareholders, it is important to ask “which shareholders”? The interests of large shareholders who may own 10% or 20% of the corporation, or the interests of individual smaller shareholders? Other stake holders’ interests also need to be taken into account. In general, Masamoto Yashiro expressed the view that both the institution’s (the company’s) and the shareholders interest are best served by stable long-term growth of the company. He mentioned as an example Exxon which showed triple-A rating and annual rate of growth of 15%-17% for over 100 years. Around 1990 Japan was self-satisfied with the economic success, and Japanese people thought that they have nothing to learn from anybody. This time is over now, and Japan and Japanese corporations much change to regain growth and to become competitive again. Q. You want Japanese companies to change. What are the good things you want Japanese companies to keep? A. Loyalty. Consideration to stakeholders. Q. Your work at Shinsei. A. Communication was most important. When Masamoto Yashiro took over at Shinsei, the Bank has just gone through bankruptcy proceedings, so the moral was extremely low. Masamoto Yashiro had to reestablish optimism and moral. To do so, communication is most important. Masamoto Yashiro held weekly telephone conferences and every employee who wanted to could participate: from top management to cleaning staff/janitors. Everyone could come forward with his concerns. Another fact was that there were so many traditions which made no sense. For example, female employees with University degrees would wear their own clothes, while female employees without University degrees would need to wear company uniform. There was an issue that lower paid staff had difficulty to afford appropriate clothing for bank work – so Masamoto Yashiro decided to award a clothing allowance to employees so that they could afford appropriate clothing. Q. Many Japanese companies cannot hire young employees, because they cannot fire/discharge non-performing older employees. A. Firing/discharge of non-performing employees can be done by paying adequate severance compensation. Considering that a non-performing employee who remains on the payroll for several years in addition to salary also creates a lot of secondary costs, it is typically cheaper to pay an appropriate severance package, and most people are happy to leave with an appropriate severance package, and often move to a more suitable position at a different company – this helps everyone. Of course some companies want to save money at all cost, and fire employees without adequate package and that can lead to problems. Q. Having worked much of your career at global oil or energy companies, what to you think about Japanese oil companies? A. Japanese oil companies are not really oil companies, because they do not invest enough upstream. A. Japanese companies must change. The mindset must change. A. University of Tokyo at the moment I think is ranked on 30th or 40th position globally in most rankings, maybe top in Japan or in Asia, but that does not count, we need to look at the whole world, not just Japan or Asia. I think University of Tokyo should make the changes necessary be at least in the top ten globally. To get into the top ten globally, University of Tokyo needs to hire outstanding Professors where the best students from the whole world want to come and study. To get the best Researchers and Professors University of Tokyo has to pay what is necessary. Does not matter which language, English or Japanese or any other language. No outstanding student from other parts of the world wants to study Japanese first before studying at University of Tokyo. University of Tokyo should make the necessary changes so that the best students from top Universities globally also want to come to University of Tokyo. Mr Masamoto Yashiro’s talk and Q&A were followed by a brainstorming session in groups among all participants of four about globalization, and global leadership development.